Shanghai Lansheng Special Cable Limited Company (LSTKABEL) is a well-known manufacturer of flexible cables in China, integrating R&D, manufacturing, marketing and services. Founded in 2008 and located in Pudong, Shanghai, our company gathers a team of experts in flexible cables designing, production managing, marketing and customer service. We take the lead in importing the advanced manufacturing and testing equipment, so as to guarantee the cables’ stable performance under longtime extremely harsh working conditions. Conforming to German VDE standard and produced with American raw materials, our products are applied extensively in heavy industries, such as industrial automation, cranes, harbor machinery, mining machinery, tunneling machinery, metallurgy, power station, new energy, petrochemical industry, etc. Due to scientific structure design and advanced manufacturing process, our cables can reach a long service life under extremely harsh working conditions, which recognized widely by customers. “Cable Customization” is our special service to meet the demand of our customers. With more than 10 years of experience and an in-depth study of the customer's work site, we can provide the most reasonable solution and the best cost-effective special cable to meet different requirements, so as to maximize customers’ benefits! 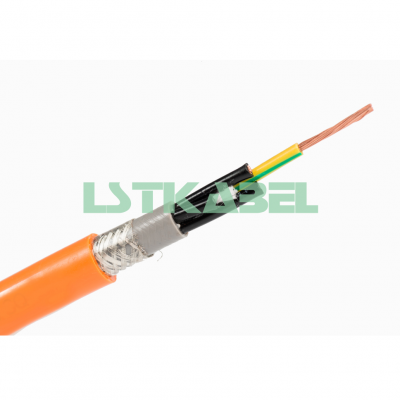 LSTKABEL takes the development goal to set up a first-class enterprise, manufacture first-class products, provide first-class service and build a first-class brand. With the aim of "products with zero defect, service at zero distance", we continuously carry out technological innovation, management innovation and institutional innovation to provide customers with products of the highest quality and better services in order to ultimately achieve sustainable development and win-win situation.